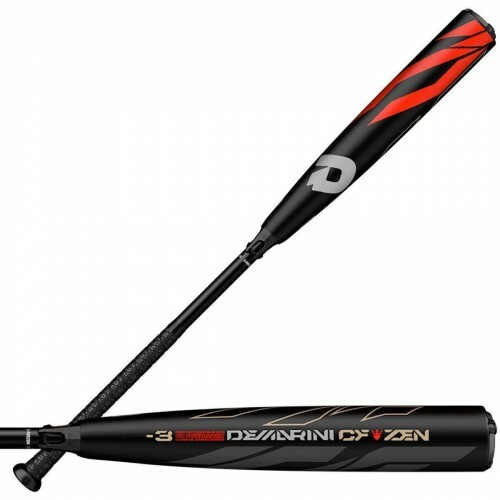 This DeMarini CF Zen baseball bat (WTDXCBC-19) features a drop -3 length to weight ratio, a 2 5/8-inch barrel diameter, and the BBCOR certified .50 bat stamp. 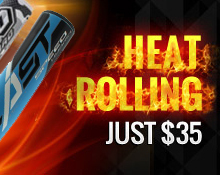 That stamp means you can step up to the plate at intermediate and senior levels with a bat designed to meet league standards and outperform box-store bats with a precision-tuned hitting machine. NEW Paraflex Plus Composite Features Proprietary Design. Swing away with confidence when you hit the plate. Colorway: Black/Red/Gold.